Live Life To Its Fullest…. We care about keeping our family and friends safe and independent. We are a mobile medical alert dealer that prides itself on integrity and customer service. 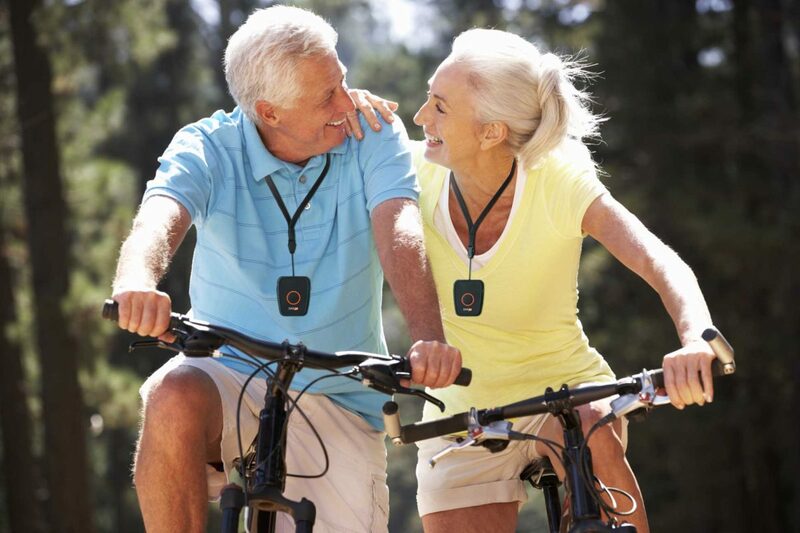 Offering the most current mobile medical alert pendants to keep seniors safe and independent. We believe a 2-way voice communication pendant is most effective when help is needed in an emergency or non-emergency situations. This type of pendant is ideal for a variety of lifestyles and life situations. 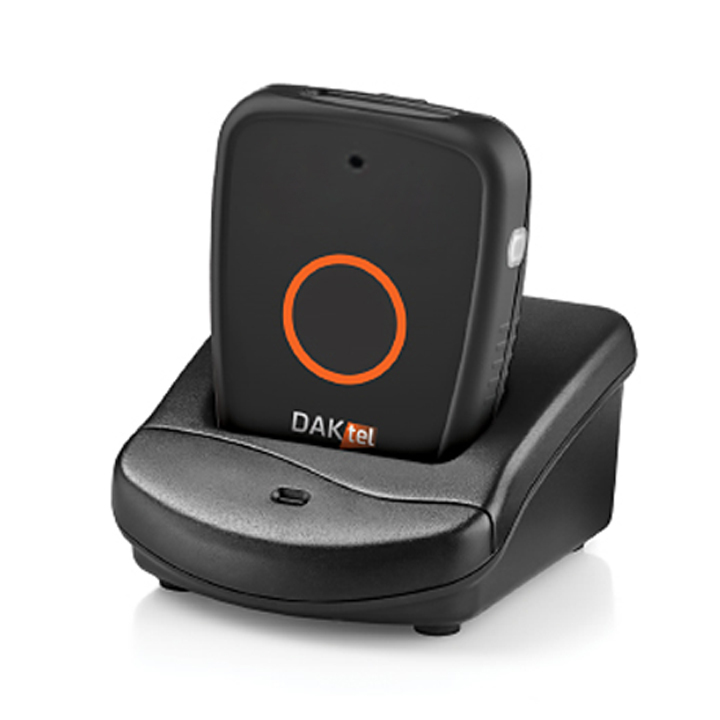 Introducing the Daktel/Pendant; our newest mobile medical alert system! The Daktel/Pendant features are unlike any others on the market today! What sets us apart from other Life Line companies and their products that you’ve seen on TV or in magazines is the Daktel/Pendants’ state-of-the-art mobile technology. With Daktel/Pendant you can feel confident going anywhere, anytime, at home or away, knowing you can get help with a touch of a button! Daktel/Pendant weighs just 2 oz. and is shower-safe, though it should not be submerged in water. Daktel/Pendant enables users to get help anywhere in the US where there is AT&T 3G cellular coverage. Check coverage here. Daktel/Pendant can last up to 30 days between charges. Daktel/Pendant conserves battery by staying in sleep mode and powering on when the call button is pressed. 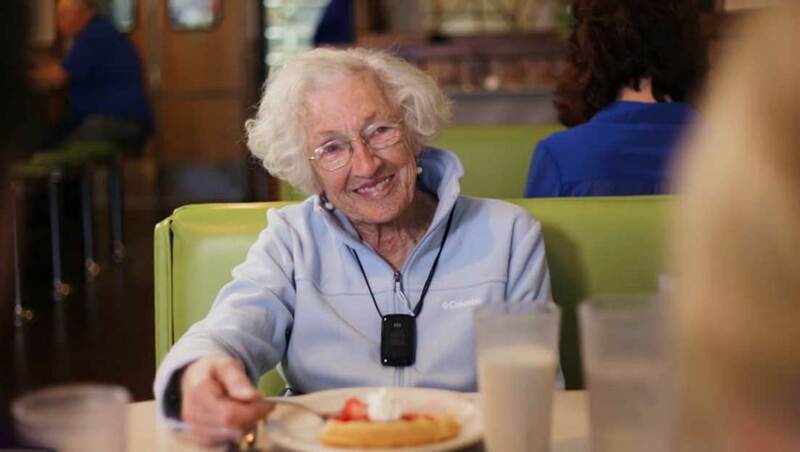 Get help with a touch of a button at home or away anywhere in the U.S.
Daktel/Pendant is a small, lightweight, and comfortable-to-wear mobile personal emergency response system that enables users to break free from landline-based systems that only work in and around the home. Simple to use, compact, and shower-safe, the Daktel/Pendant features built-in 2-way voice communication and a rechargeable battery that lasts up to 30 days on a single charge. 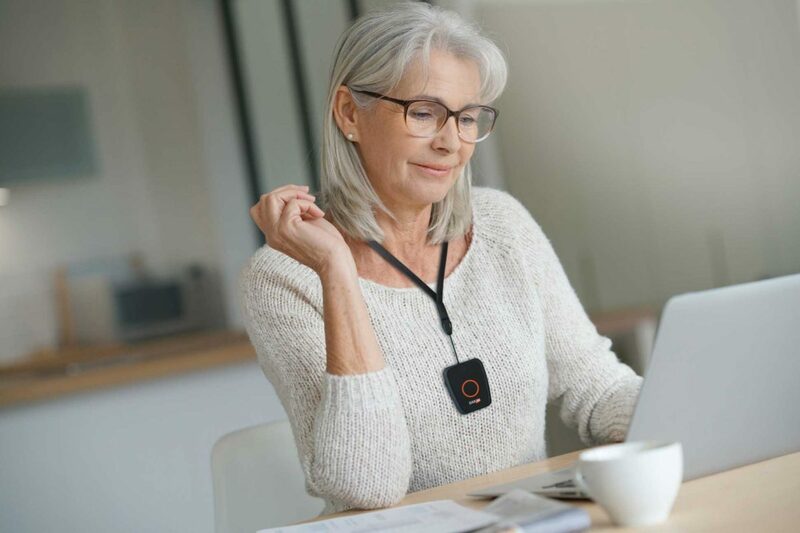 Daktel/Pendant users can do what they love, with the confidence of knowing they can press one button to get help at home and away, anywhere in the US where there is AT&T 3G coverage. Daktel/Pendant connects users with call center specialists, who can send emergency personnel or loved ones to the user, depending on what is needed. If users need to be located in an emergency, specialists can connect their Belle device to 911 to utilize U-TDOA location technology. When you press and hold the call button, you are connected with a trained call center specialist. 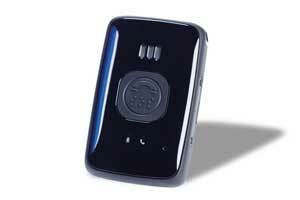 You can speak with and listen to the specialist through the powerful built-in microphone and speaker. The specialist will assess the situation and will send EMS, loved ones or neighbors to help you, depending on what is needed. What accessories come with Daktel/Pendant? 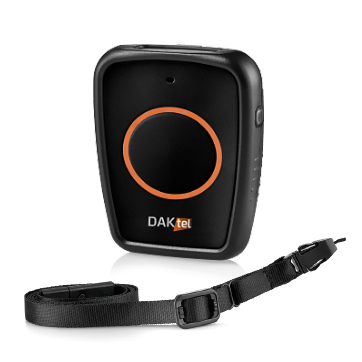 Daktel/Pendant purchases include a charging cradle and lanyard. Does Daktel/Pendant work in the shower? Yes, Daktel/Pendant can be used in the shower. However, it is not designed to be submerged in water. Who can I contact with the Daktel/Pendant? When you press the call button, you will be connected with a call center specialist. The specialist can send EMS, relatives or friends to you, depending on what is needed. How long does the Daktel/Pendant battery last? The rechargeable Daktel/Pendant battery lasts up to 30 days between charging. How do I know when the battery is low? 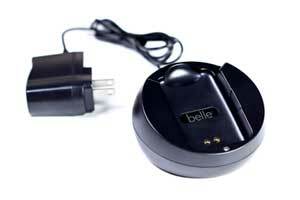 You and your loved ones can receive text message and email alerts when Belle needs to be charged and powers off. You may also receive a phone call from a specialist when the Daktel/Pendant battery is low. Daktel/Pendant should be charged for 3 hours every 30 days. The red battery light will flash every 1 second after a call when the battery is low. How do I charge Daktel/Pendant? To charge Daktel/Pendant, rest it on the included charging cradle with Daktel/Pendant’s lanyard at the top of the cradle near the charging cord and Daktel/Pendant’s status lights down near the light on the bottom of the cradle. The red battery light will flash every 2 seconds while Daktel/Pendant is charging. When Daktel/Pendant is fully charged, the red battery light will be solid red. How do I know Daktel/Pendant is working? When Daktel/Pendant is on and working normally, the blue call light will flash every 5 seconds after a call (until the device goes into standby mode) or if charging, and the battery light will not be on. Caregivers cannot call Daktel/Pendant devices because Daktel/Pendant devices are off until the call button is pressed, to conserve battery. 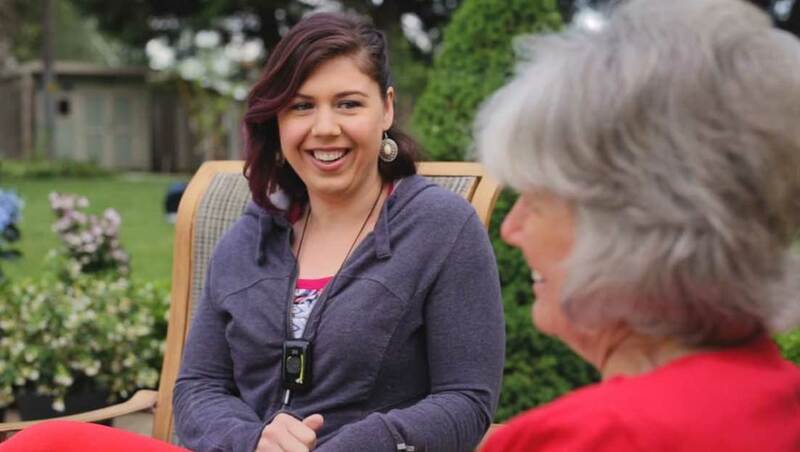 Daktel/Pendant users can press the button and ask the call center specialist to call a caregiver, neighbor or relative in a non-emergency situation. What if I press Daktel/Pendant’s button by accident? If you press the button by accident, simply tell the specialist that you did not intend to press the button and that no help is needed. Will Daktel/Pendant interfere with my medical equipment? Daktel/Pendant is essentially a cell phone. If you have a pacemaker, review your pacemaker materials regarding interaction with cell phones, and take the same precautions the materials recommend with this device. How often should I test Daktel/Pendant? It is recommended that you test Daktel/Pendant once a month. 1. To test, press the call button until call light turns blue. 2. After a short delay, you will hear tones or ringing. 3. Specialist answers your call. 4. Tell specialist you are testing. 5. If the device dials 911, tell the operator you are testing and that the operator can disconnect the call. How does Daktel/Pendant help users? 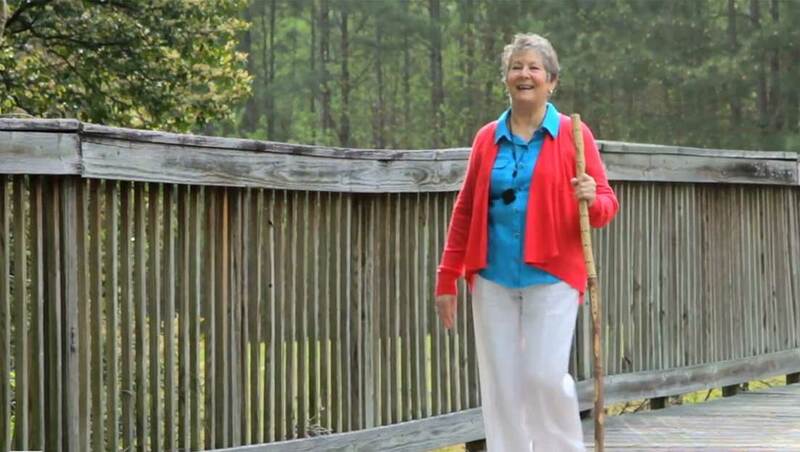 Daktel/Pendant empowers you to do the things you love, with the confidence that you can get help when needed, whether you are at home or across the country. Daktel/Pendant uses AT&T 3G coverage to connect you to a call center specialist, and if you are in an area without AT&T 3G or roaming partner coverage, Daktel/Pendant can use other compatible area networks to dial 911 directly. You can wear Daktel/Pendant all the time, even in the shower, so you can feel confident doing your daily activities and being able to reach help if you need it. It weighs 2 oz. and measures 2.7” x 1.7” x 0.7”. How do I purchase the Daktel/Pendant? Email info@freeus.com and provide your name and phone number and a Free us-authorized dealer will contact you.